A recent class speaker said “you can make anything into a design project.” So, as my upcoming road trip came into focus, I decided to take this to heart. I’ve spent the past few days with family in my home state of Minnesota recovering from the end of the semester, and will be driving my car from from Minneapolis to Atlanta tomorrow. It will take 2 days and over 18 hours. 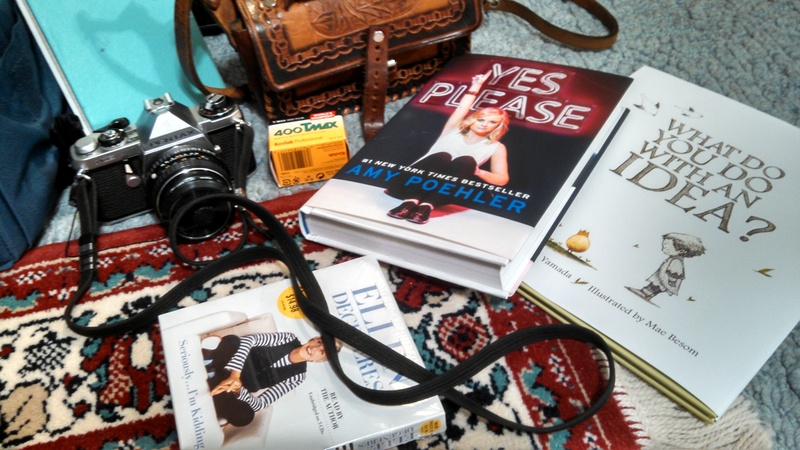 Also in tow, a few roles of b&w and color film, an early birthday present in the form of Yes Please and What Do You Do With An Idea, Ellen on audio book, my sewing machine, a few canvases and my mom’s vintage Robin Hood bike I plan to fix up over the summer. With that, I ask you to wish me luck and safe travels!! The Honda’s filled with gas and the road trip bag of snacks is plentiful. See you on the other side!